It’s Linda’s birthday, but (ever the sensible one) my wife does not like her picture posted, especially if it’s candid. So I strategically chose the photo you see here, taken near the Herefordshire border, one April evening in 1986. We were all on our way for some drinks at The Lion in Lentwardine, having just had some post-Point-to-Point drinks at Rad and Jen’s. A Point-to-Point is basically a rural English steeplechase where betting (and yes the occasional drink) is warmly encouraged. 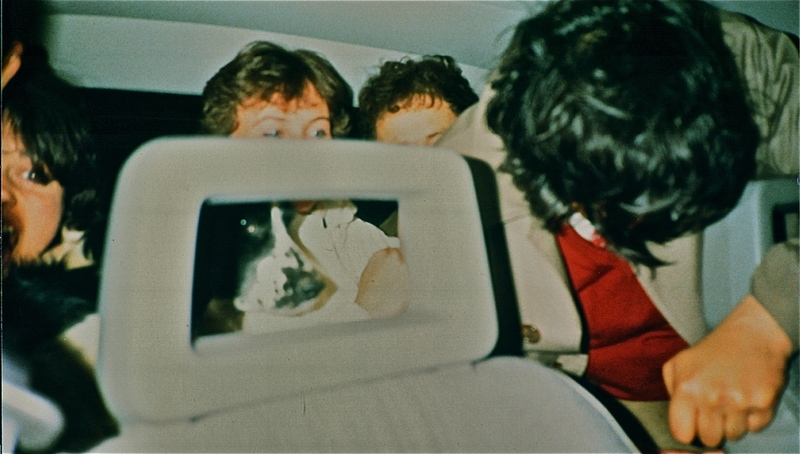 That’s Jules (there to the left) in the back seat of an Austin miniMetro five-door hatchback, along with Squiff the dog, our Linda, Giles (Emerson) and Giles’ then brother-in-law, Mike settling in on top. Rad and Jen sat in the front passenger seat and – tellingly – I drove; presumably as I had least to lose (as a then-city dweller) if I lost my license. That’s right, seven people and a Springer spaniel in a car built for four…and that British license is still valid to this day. I will state right here that Linda had little say in the matter (some way to woo a girl, eh?) but even though we’d just started dating I knew something then that has held true for decades (beyond her charm, wit and beauty of course) and that’s that my better half’s favorite song is Brown Eyed Girl.